ADCL has appointed Mohammed Ali Yasin, a well-recognized capital markets specialist, as the Chief Strategy Officer (CSO) & Clients Relations, in October 2018. Al Dhabi Capital Ltd (ADCL), is the asset management company of Al Dhabi Investment (ADI), a Private Joint Stock Co established in Abu Dhabi since 2010, by a team of professionals as a global investment firm. ADCL has been licensed as an Asset Management company by the (ADGM) Financial Services Regulatory Authority (FSRA) since February 2017. It will specialize in managing client’s investments in the UAE, MENA, and Global markets. Prior to joining ADCL, Mr. Yasin was the CEO “FAB Securities”, the brokerage arm of FAB Group, since 2012. Prior to that, he also served as CIO and Board member at “CapM Investments” for 2 years. Mr. Yasin also served as the CEO of “Shuaa Securities” between 2006-2010; and before that as MD of Emirates Securities since 1998. 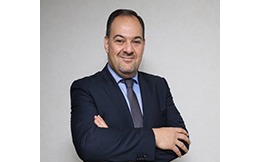 Mr. Yasin is a highly trusted authority and financial markets specialist of regional markets for over 20 years and is widely regarded as an opinion leader that is widely quoted by local and international media beside social media networks on the MENA economic activities. He is also a member of the Capital Markets Consultative Council formed by the Emirates Securities and Commodities Authority (ESCA). He is a University of London – Queen Mary & Westfield College graduate with a B.Sc in Computer Science. With more and more XBRL data now available, this session will explore how regulators, data service providers and users can best consume and analyse XBRL data?